Each year, approximately 22 million workers are exposed to hazardous, potentially damaging noise in the workplace. For those who experience hearing loss as a result, the estimated workers’ compensation payout from employers is around $242 million. Many workers conceal hearing problems in order to remain on-site. In that case, the risks of simply ignoring the problem go well beyond benefit payouts. Significant hearing loss impairs an employee’s ability to understand speech, hear warning signals, and notice audio alarms. In most workplaces where hazards could occur (i.e. : a construction site or manufacturing plant), workers must effectively communicate with one another. If someone misses a verbal cue, such as a safety manager’s direct order, then serious accidents may occur. In order to protect workers from hearing loss, OSHA created and enforced Regulation 29CFR 1910.95. It states that employees exposed to sound levels at, or above, 85 decibels adjusted (dBA) for an 8-hour time-weight average must be provided with some means to mitigate their exposure to the hazard. In other words, if an employee endures hazardous noise for a specific period of time, his/her employer must monitor that employee’s hearing, and offer ways to conserve and protect it. 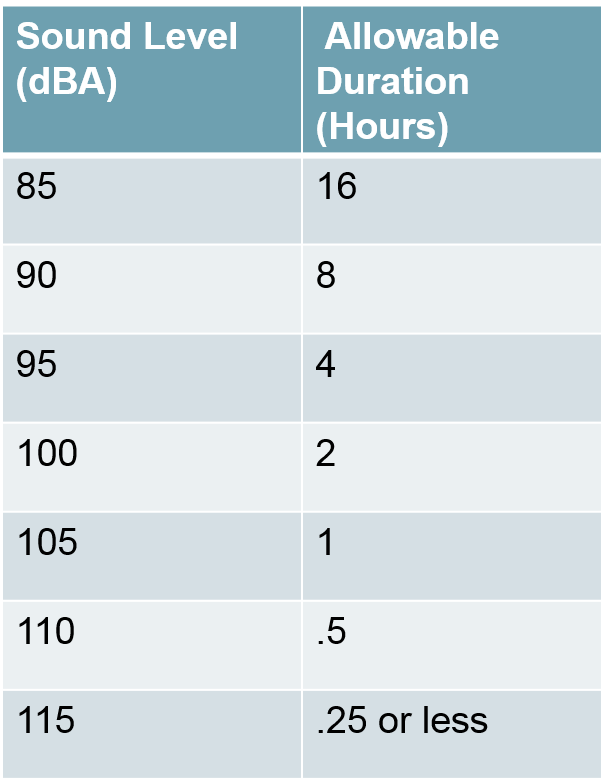 The action-level dBA mandated by OSHA (85), produces the same level of sound as a roadway with busy traffic. Damage may occur if that level is sustained for more than eight hours. 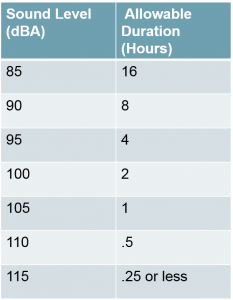 For every five dBA above that level, the standard cuts the allowable exposure time in half. Loud noise serves as the most known workplace hearing loss catalyst, and its effects do not end there. Recently, OSHA published a fact sheet showing that exposure to high levels of noise can lead to Tinnitus, stress, anxiety, high blood pressure, gastrointestinal problems, and chronic fatigue. 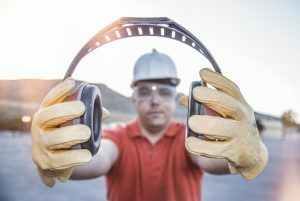 Excessive noise exposure stands at the forefront of industrial hearing loss, but evidence suggests that it’s not the only thing causing damage. Hazards such as solvents and metals put an estimated 9 million workers at risk for hearing loss annually. Additionally, a 2009 occupational health surveillance study showed that co-exposure to heavy metals and/or organic ototoxic chemicals – chemicals that result in hearing loss – may exacerbate the effect of noise exposure. Essentially, for workers that encounter solvents and metals, the risk of hearing loss increases significantly in noisy environments. Proper medical surveillance and record-keeping provided the necessary information in the above studies. OSHA requires all industrial workplaces to create and implement hearing conservation plans. The administration also mandates that employers provide workers with a variety of personal protective equipment, and consistent audiometric testing performed by licensed professionals. The results of the audiometric testing must be recorded in conjunction with the hearing conservation provisions of the OSHA noise standard (1910.95). Make employee health a priority with regular medical surveillance testing. At Worksite Medical, we’re here to help keep your team safe, and your workplace compliant. We bring everything from respirator fit testing and blood analysis, to OSHA physicals and audio exams right to your job site. Never send your team away for testing again. Go mobile, and let us come to you! Complete the form below to schedule, or to get your free quote! If you’d rather call, then you can contact us at 1-844-622-8633.